though i like to immerse myself primarily in fashion, a big interest of mine is anime and video games. though i know most of my readers may not necessarily be interested in this, i know i've posted before about video games and anime before on this blog, so it's not entirely outside my view for my own personal blog. 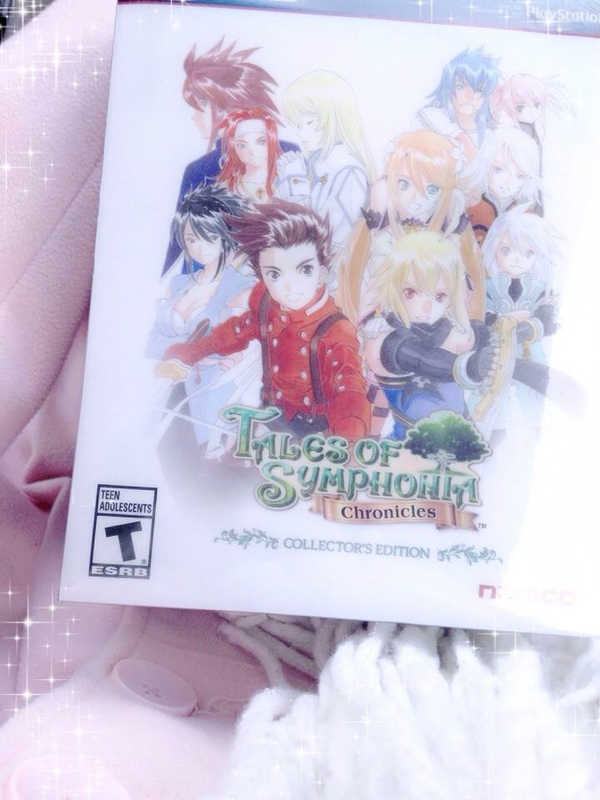 this is an unboxing of the collector's edition of tales of symphonia chronicles for the ps3! tales of symphonia was not the first tales of game i've ever played (tales of destiny two/eternia was), but it was the first tales of game that i have ever completed on my own. it holds a lot of nostalgia and significance for me and is my second favourite tales of game after tales of the abyss. i new game plused symphonia on the game cube at least fifteen times with at least one hundred hours each playthrough (i do every side quest and like to overlevel my characters quite a bit). and every time i started a new file, i'd transfer affection over (it took about ten playthroughs to get colette out of my top three and that was with being super mean to hear with every skit and every gameplay choice). regardless, sheena was always my number one. genis was pretty up there because he's my bby. i have so many feels about this game ohmygoodness. i was the first to preorder the collector's edition where i live and i was just so excited to finally get my hands on it! the fact that you can also get a gailardia costume for lloyd and a luke fon fabre costume for genis literally makes my heart melt. it's like melting my top two tales of games together. i'm going to play the english voices for the first game, partly for nostalgia but also because every tales of game has been dubbed perfectly in english. but i will be playing the second game with the japanese voices. i don't particularly want to hear the symphonia cast with new voices; i really do feel like it would distract me from really taking in dawn of the new world.